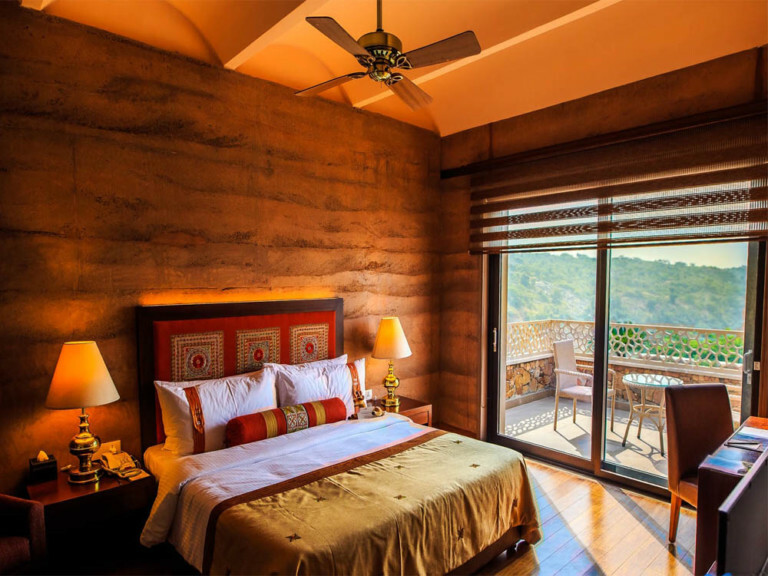 - The property is situated within the Mangar Bani valley, which is approximately one hour away from New Delhi, making it an ideal weekend getaway destination. 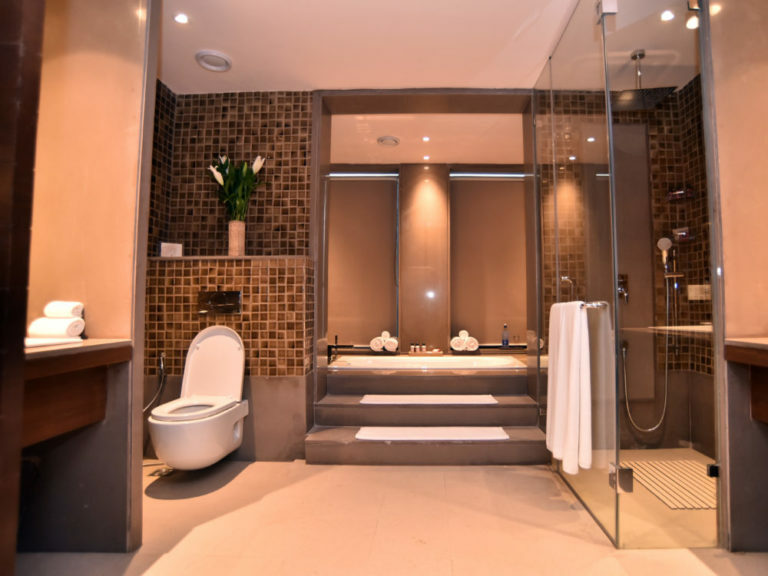 - Choice of two multi-cuisine restaurants, namely, Alfresco and Dining Room, with a focus on in-house grown fresh organic food. 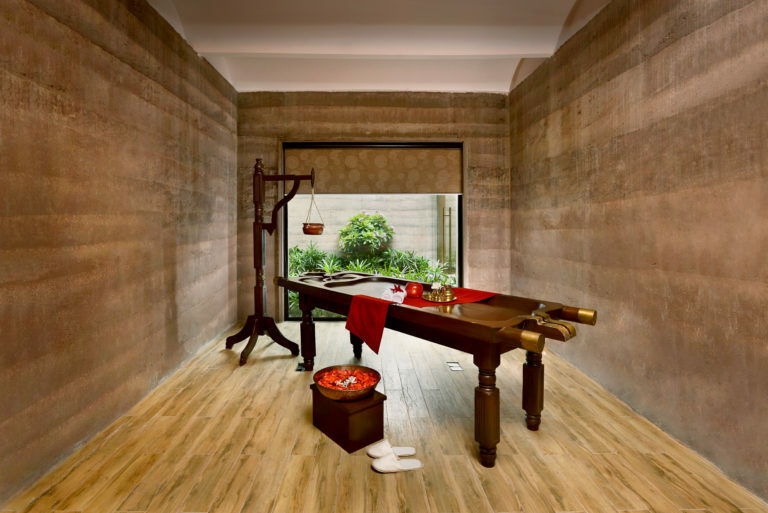 - Indulge in the Time Reversal Spa, managed by Dr. Mosaraf Ali, whose client list is filled with the likes of Sachin Tendulkar, Sylvester Stallone, and many international celebrities. - Get that adrenaline rush with range of outdoor adventurous activities like rock climbing, rappelling, zip lining, zorbing, ATV, obstacle course etc. 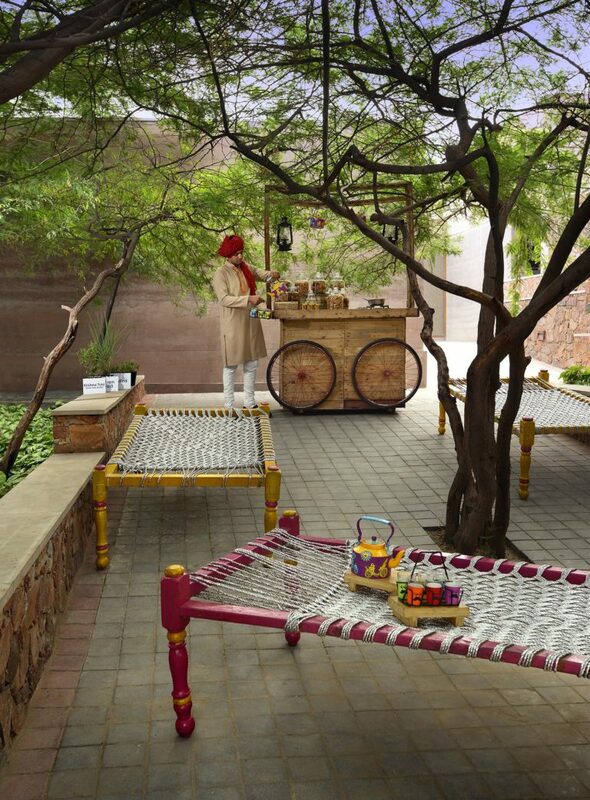 The Lalit Mangar is built using the unique concept of earth rammed architecture that uses raw materials like earth chalk and gravel in layers. Fifteen-inch thick walls are insulated thereby, remaining cool in summer and warm in winter. Each wall has a different pattern, shade, and color as a result of the individual working on that wall and the soil mix generated in it. Rammed earth is non-toxic, non-polluting, and it breathes. It is low in embodied energy and extremely comfortable to live in. One of the oldest plateau ranges of the world- The Aravallis date back to the pre Indian sub continental collision. Believed to be 670 million years old, this range of western mountains runs across Gujarat, Rajasthan and Haryana ending in Delhi. Celebrated as one of the last remaining patch of natural forest in the region of Haryana, it is home to varied species, including leopards.The guests are taken extreme care of and served the food that is of supreme taste and good for health. The components used in our recipes such as basil, lemon grass, coriander and other vegetables are produced at their in-house organic farm. They strive to make sure that all the food items are totally chemical free and intact with nutritional value that it comes with. 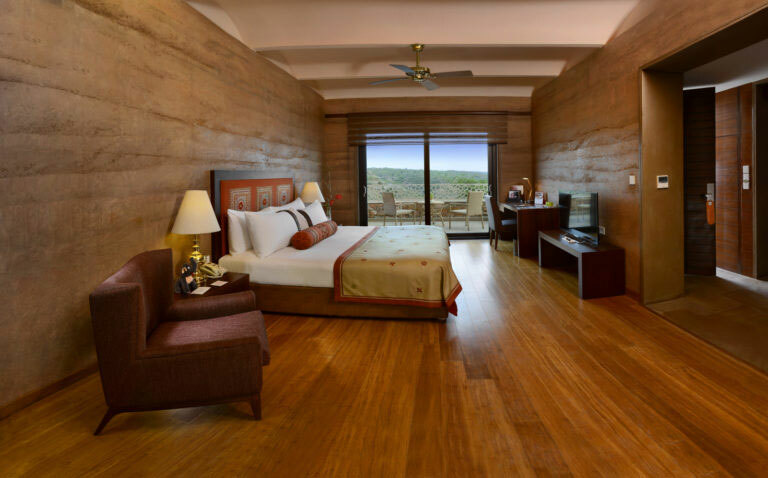 The Lalit Mangar offers a range of outdoor adventurous activities in the nearby vicinity – Rock Climbing, Rappelling, Zip lining, Zorbing, ATV, Obstacle course etc. It's just about time to explore the adventurous side of you, let yourself be free and test your strengths. 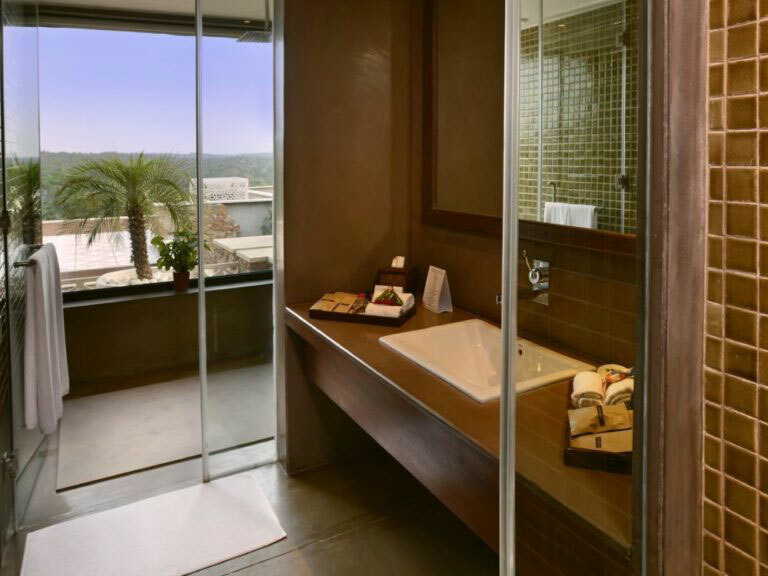 Luxury suites are all designed to provide a breathtaking view of the beautiful valley. 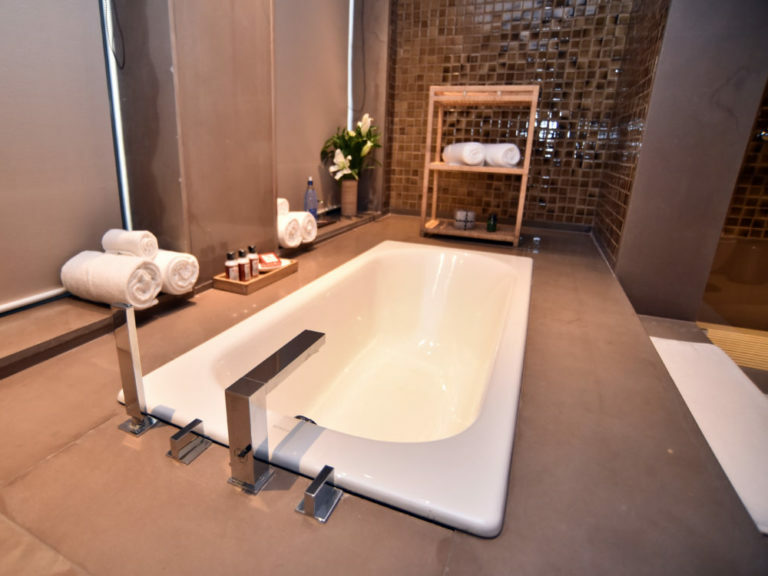 During your stay at the luxury suite, you can enjoy a lavishly done bedroom, en-suite bathroom and a private balcony for that perfect evening tea experience in nature's lap. 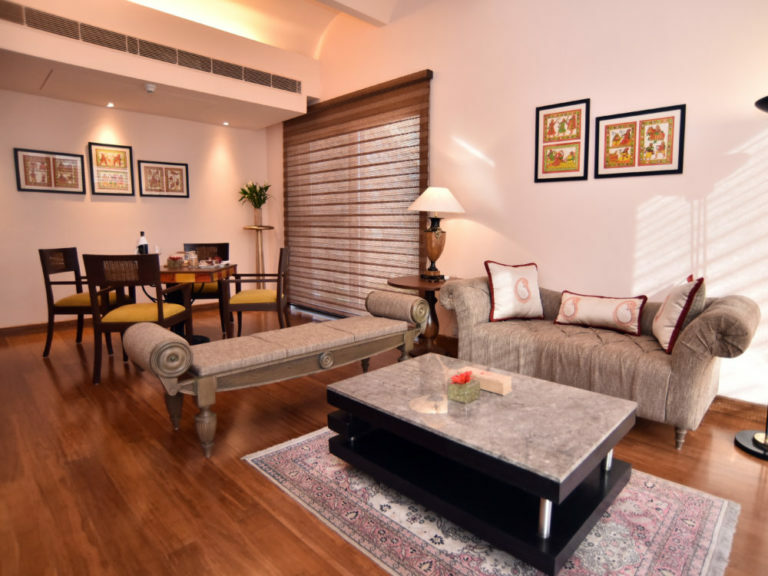 Enjoy a truly enriching sojourn in the luxurious set up with world class facilities and prompt service. Revitalize yourself with the exclusive Time Reversal Spa experience. 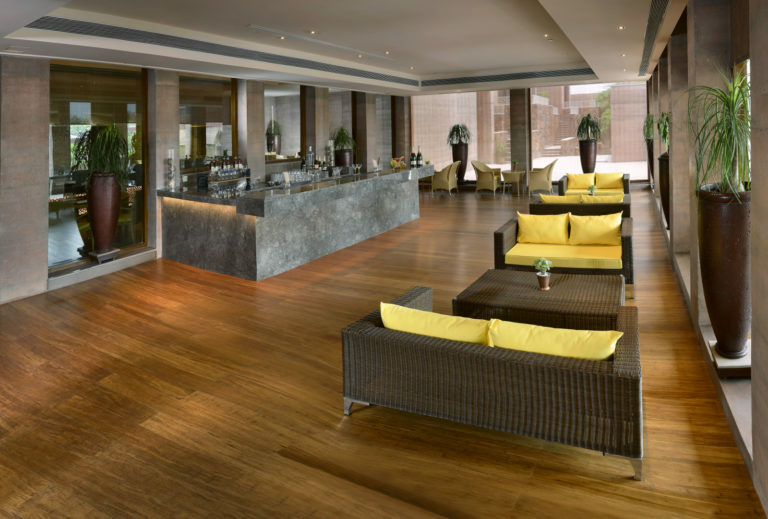 Aesthetically designed, The Lalit Legacy suite features a plush bedroom with a separate sitting area. 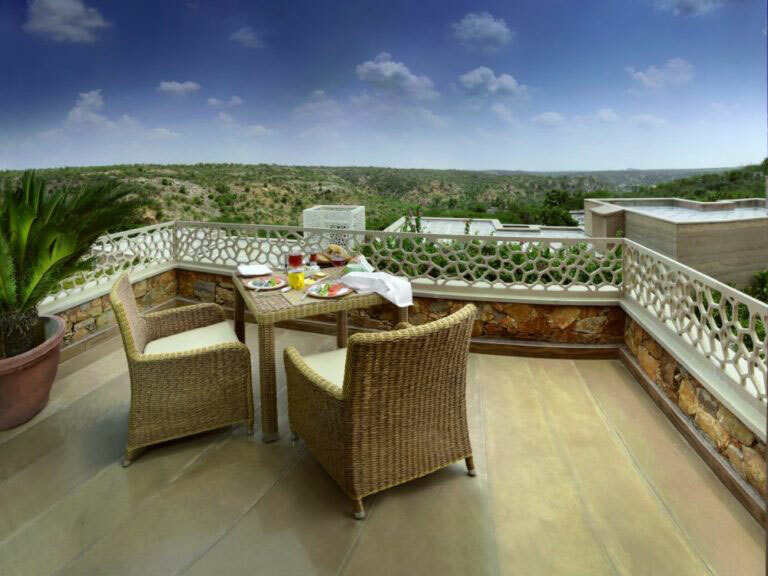 The charming view of the Aravalli Hills from the suite make your stay more pleasant, while limitless hospitality by their trained staff, ensures that one has a truly memorable time. 100% refund provided if cancelled till 15 days before the date of arrival. 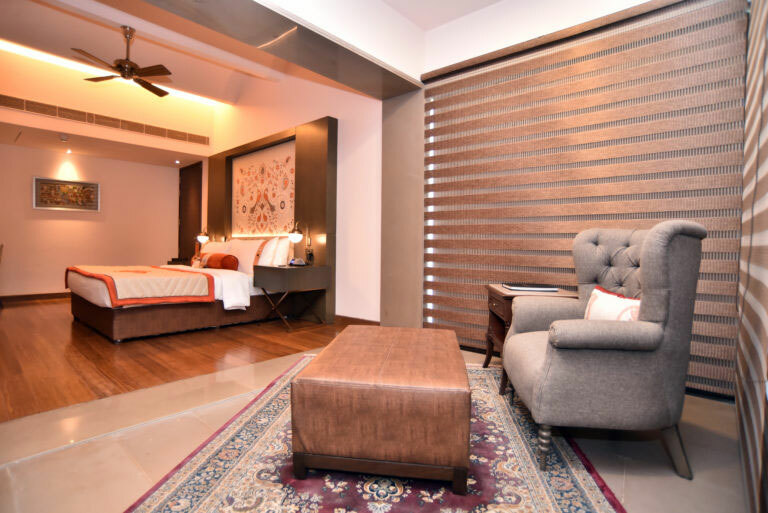 Extra bed is charged at INR 2500 per night. Being coniderably close from Delhi-NCR, at about 30 kms, The Lalit Mangar is at a little more than 1 hour driving distance from the city. The ideal spot to end up post that hectic week.